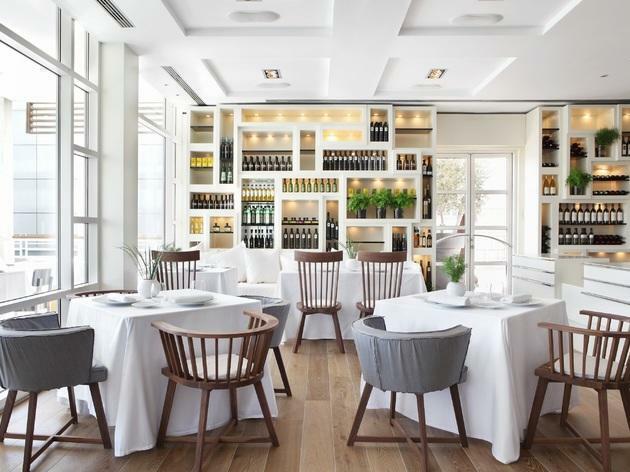 Chef Paco Pérez has earned two Michelin stars for his Enoteca, a heavyweight in Barcelona in its own right. Pérez also saw his Miramar restaurant in the Catalan city of Llançà get its second Michelin star. Few chefs can translate the flavour of the sea into haute cuisine the way he does, and his craft speaks to the imagination. The heights Enoteca's 'espardenyes' (Mediterranean sea cucumbers) have hit make them deserving of their own chapter in Catalan avant-garde cuisine, and the rice dishes will satisfy the biggest food snobs and Catalan cooking fundamentalists alike. Surrendering to the restaurant's fragrant rice with lobster is the best way to pay tribute. The highly-esteemed chef has created an enticing menu which translates the flavours of the sea into haute cuisine and his imaginative approach to local and traditional ingredients. The heart and soul of Mediterranean cooking is rendered in elegant dishes that follow a philosophy of high-quality raw ingredients, simplicity and elegance. Enoteca has been a reference in the gastronomy map of the city since its opening in 2008, bringing clients and the local public the opportunity to taste an exquisite menu adapted each season of the year in one of the best wine cellars on the sea shore. 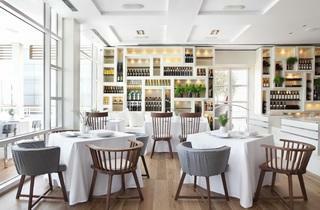 The restaurant is located in the five-star Hotel Arts, a benchmark for luxury hotels in Barcelona. El dissabte passat vaig anar a passar el dia a La Vila Olímpica amb la meva familia i vam anar a dinar a l’Enoteca Paco Pérez. N’haviem sentit a parlar però mai hi haviem estat. La primera impressió ja va ser bona; l’espai molt acollidor i amb unes vistes immillorables. Al ser un grup nombrós, vam optar per compartir diversos entrants, com: Tonyina mediterrània, espardenyes amb fricandó i escamarlà en americana i tàrtar, entre altres innumerables entrants que ens van acostar als sabors mediterranis de la temporada. Com a segon plat, vaig demanar llenguado meunière amb ametlles tendres i matisos cítrics i per acabar els fruits vermells amb gelat làctic fumat. El servei va ser excel·lent; sóc al·lèrgica a l’all i no em van posar cap inconvenient per menjar el mateix que tothom. Al contrari, es van preocupar en tot moment de fer-ho saber a la cuina. Realment una vetllada excepcional, repetiría segur! I ate at this restaurant a couple of days ago and can’t recommend it enough! I had the tuna and my husband had the seabass – the food came quickly and both dishes had a great flavour – and the extensive wine list was very impressive. The restaurant itself has a relaxing atmosphere because it’s so bright and openand you get a nice sea breeze from the terrace, which also has an amazing view of the port – would recommend sitting outside for a drink! The staff were welcoming and attentive and definitely made our night more enjoyable – thanks Enoteca Paco Pérez!